Where would we be with out our Petunia to greet? If you’ve ever stopped by our office, chances are you were greeted by our office dog, Petunia. A sweet, black and white pup with quite a personality and an affinity for getting all kinds of treats from those around her. 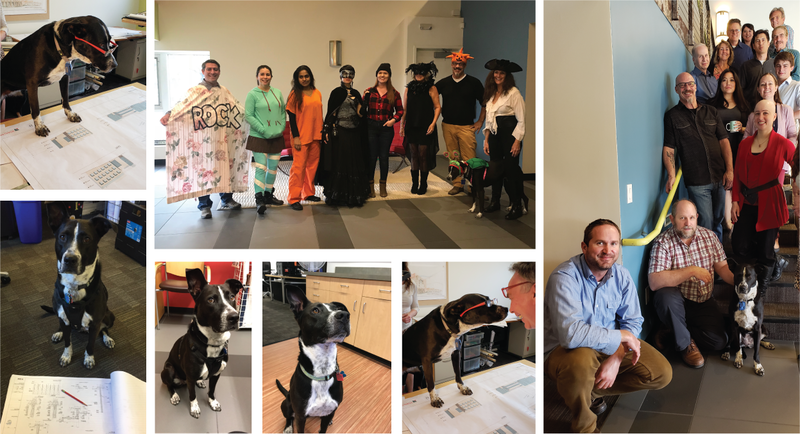 From our office staff who enjoy the excitement and laughter she brings in daily, to her charismatic charm, she’ll never be lacking in love and treats from those around her. She lives her best life here, and occasionally works as a messenger delivering notes around our office via her collar. Having a dog in the office has actually proved beneficial for stress reduction, employee retention, lower blood pressure, and reduced depression and obesity. Thank you, Petunia, for being you! 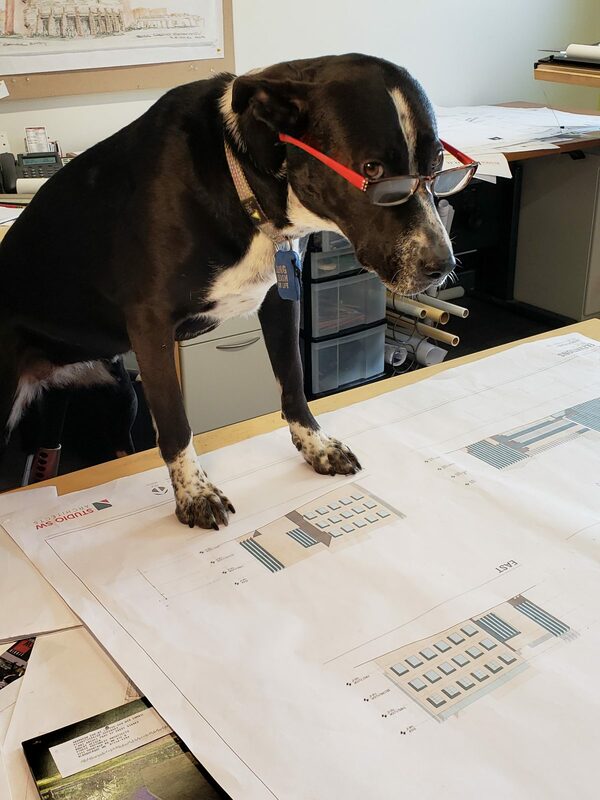 Posted in We've Been Busy and tagged with Albuquerque architecture Dogs Office Culture Office Dogs Pets .